The SCREENED PORCH provides one of the great pleasures of living on the land of the Chesapeake Bay. The sensual connection to nature is like no other room in the house: viewing the landscape, the movement of migratory birds, experiencing the smell and sound of an approaching summer thunderstorm, watching the nighttime dance of lightning bugs. We have created many screened porches that extend the living space of the house out into the landscape. 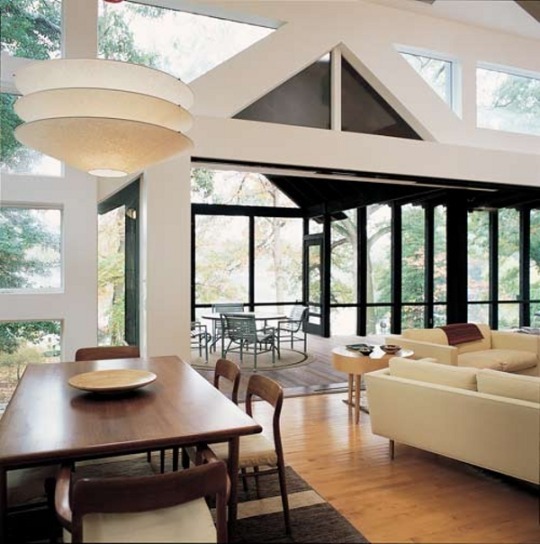 We do this by creating spacial ambiguity between the screened porch and the rooms of the house. 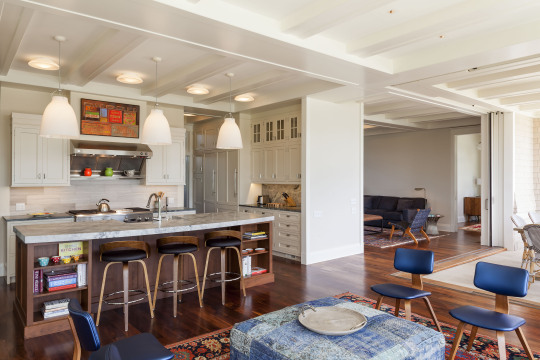 In the Wye River House (above) two screened porches flank the kitchen great room so when large gliding glass doors roll into wall pockets, the space of the kitchen great room merges with the screened porches as one space. In the Cypress Creek House (above & below) large gliding doors disappear between the living room fireplace and the screened porch fireplace. 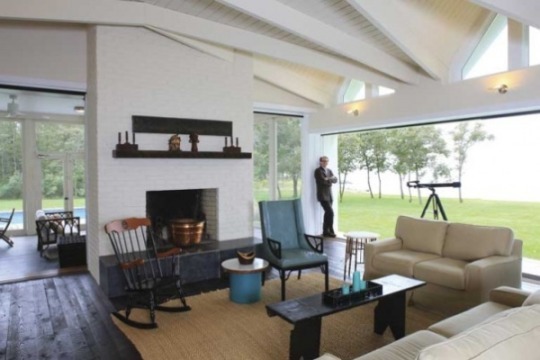 In the Choptank River House (below) gliding doors flanking the fireplaces also disappear between the fireplaces and additional gliding doors in the living room retract so that the wall of the screened porch extends into the living room. In each of these homes, the screened porch spatially expands into the landscape in FOUR directions.